Send-off party being held this weekend. Five sailors with Connecticut ties will be representing the United States in the Olympics in London this month. The athletes will be joining their teammates at a send-off party Saturday in Larchmont, New York before heading to London on Sunday. Hosted by U.S. Olympic Sailing Committee and the Junior Sailing Association of Long Island, the event is an opportunity for fans and supporters to meet athletes and wish them luck before the Games. Among the Connecticut sailors is Rob Crane, a Darien native and member of the Noroton Yacht Club. Crane has been vigorously training since he graduated from college in 2009 . “I gave it a good two and a half years and I kept getting better and better,” he told NBC Olympics. 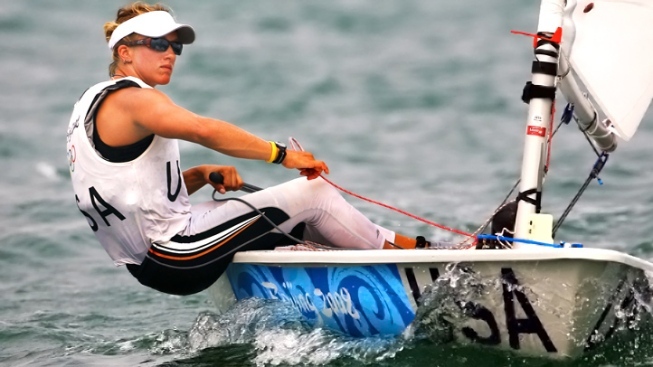 Stuart McNay, a 2005 graduate of Yale University, will be heading to his second Olympic Games in London. He placed 13 at the 2008 Beijing Olympics. McNay and his partner, Graham Biehl, also won the North American Championship title in 2011 and have set a goal to win an Olympic gold medal. Bob Willis and Amanda Clark, both graduates of Connecticut College and Sarah Lihan, a Yale grad, are a part of the 2012 U.S. Olympic sailing team as well. The send-off party will be held Saturday from 3 p.m.- 6 p.m. at the Larchmont Yacht Club, One Woodbine Avenue, Larchmont, New York. Fans who want to attend the send-off are encouraged to pre-register for the free event here.